If you entered this post due to your extremely dirty mind, I’m sorry to tell you that you’ve come to the wrong place. Today I’m not talking about anything remotely sexual. Instead, I’m here to discuss the war on waste! I’m sure most of you reading this post have had fruit in their household, many of which have been picked up from the supermarket shelves. You’ve picked up a bunch of bananas to have for breakfast, to put in your kid’s lunchboxes or to go in your daily smoothie. They’ve been purchased from a chain supermarket – where I estimate that more than 95% of people shop – unknowingly contributing to a huge problem of accumulating waste. Sounds crazy I know; that simply buying a product from a supermarket can somehow contribute to the war on waste. When I found out about this, I was in total shock. 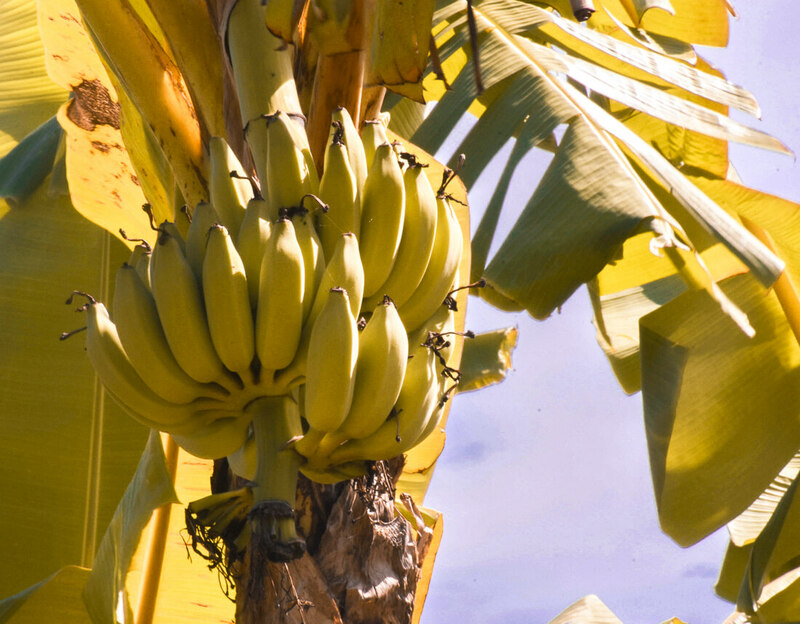 Regular bananas need to have the perfect arch, a blunt end and be between 160 – 220 mm long and between 30 – 40 mm wide. 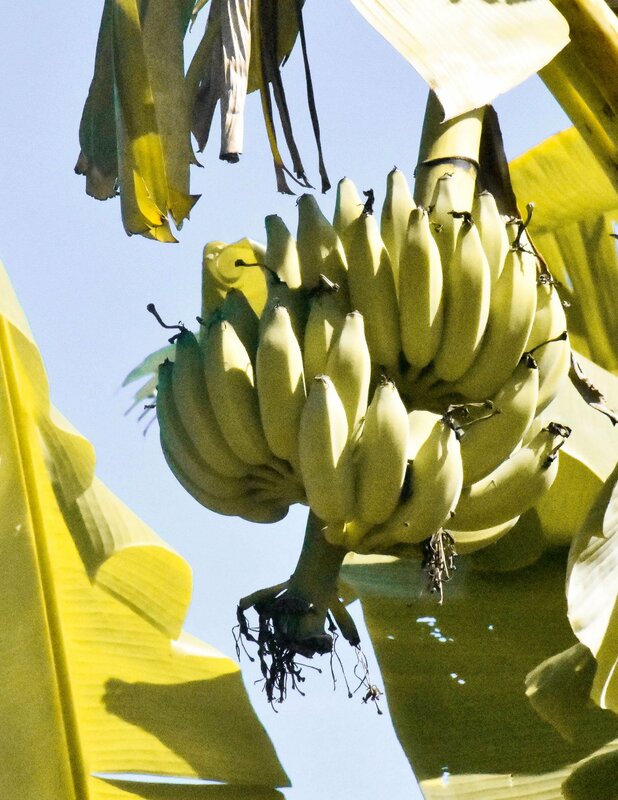 But finger bananas need to be straight, have a blunt end, and be between 150 – 170 mm long and 36 – 48 mm wide. Apples need to be the perfect squat shape and be between 64 – 72 mm wide. Mangoes need to be the perfect heart shape and the perfect density. Onions need to have a root no more than 10mm long and must be between 55 – 80 mm wide. And most importantly, each piece of produce must be perfectly presented; no spots, marks or ‘imperfections’ of any sort. 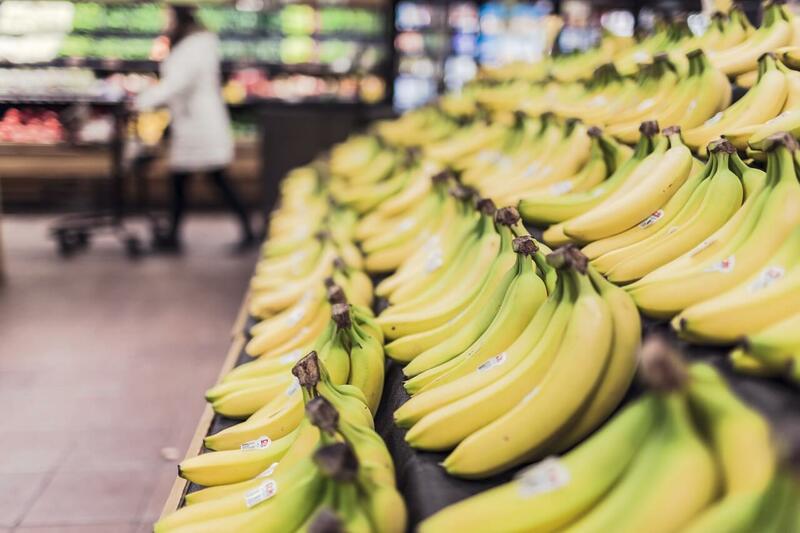 Walk into any chain supermarket and you’ll quickly discover the standards… For the most part, the shelves are filled with fruit and vegetables that each look exactly the same. They’re “perfect”… Without any stretch of the imagination. It sounds crazy, right? Well, the worst part about this is that every piece of fruit and veg that doesn’t meet the guidelines is thrown into landfill. Yep… Buried in the depths of the earth. Before the fruit is shipped to the distributors, workers have to check every single product to ensure that it meets the guidelines. Everything that slips outside of the box – even by just a centimetre or two – is simply thrown to waste. Of course, a percentage of the product is turned into other items, dried into snacks, sent to charities and so much more. But the amount of produce required to create the 40% of “perfect” items for the supermarket means that there’s too much stock for such a little demand. It’s also important to note that when food rots in landfill, it pollutes the air with methane which is 25% more potent than the greenhouse gases produced from cars. It ain’t good, I can tell you that much! This issue starts wholeheartedly starts with the consumer; you and I. As seen on the war on waste documentary, it’s very clear that buyers are only interested in products that look absolutely flawless. They want to eat the piece of fruit that looks the same as the ideal image they pictured in their head… And absolutely nothing less. 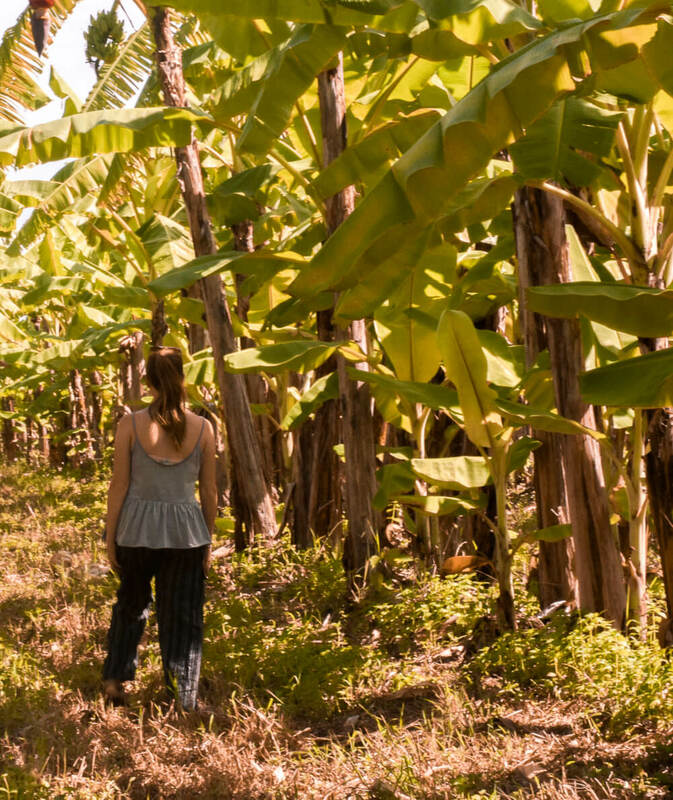 Sadly, this has all come down to the fact that for many years, our minds have been manipulated into thinking that bananas are only tasty if they’re the right width and that a spot on a piece of fruit or veg means the absolute worst. For years on end, an estimated 95% (not accurate, just my assumption) of consumers have only been seeing the fruit that supermarkets have selected us to see. I’m currently 22, and I can’t recall a time in my life where I’ve seen an imperfect piece of fruit on the regular shelves of a supermarket. Well here’s the thing… Size Doesn’t Matter. So what are the solutions for tackling the war on waste? Sadly, this problem starts with us! Supermarkets strive to please the people that shop their products, so without the consumer, their stores would be helpless. To start spreading the word about the war on waste, the best thing to do is start shopping at your local farmers market, local fruit and veg store or if you want to be really sustainable, grow your own produce! If shopping elsewhere for your fresh produce is too much of a hassle, buy from “the odd bunch” range at Coles instead (which unfortunately only applies to my Australian readers). Unfortunately, this issue is never going to change unless consumers overcome their need for perfect fruit. There’s really no such thing! It all tastes the same on the inside after all, right? To keep the discussion going, let’s start to think of creative ways to overcome the war on waste. Reach out and let your voice be heard! One great idea is if you’re in need of fresh produce for your business, reach out to farmers instead of purchasing from the supermarket. So much of this edible fruit and veg is going to waste, and I can guarantee that these struggling farmers will absolutely love the support! If you’re in need of more inspiration and want to know more about this important topic, I highly recommend watching the War on Waste documentary. 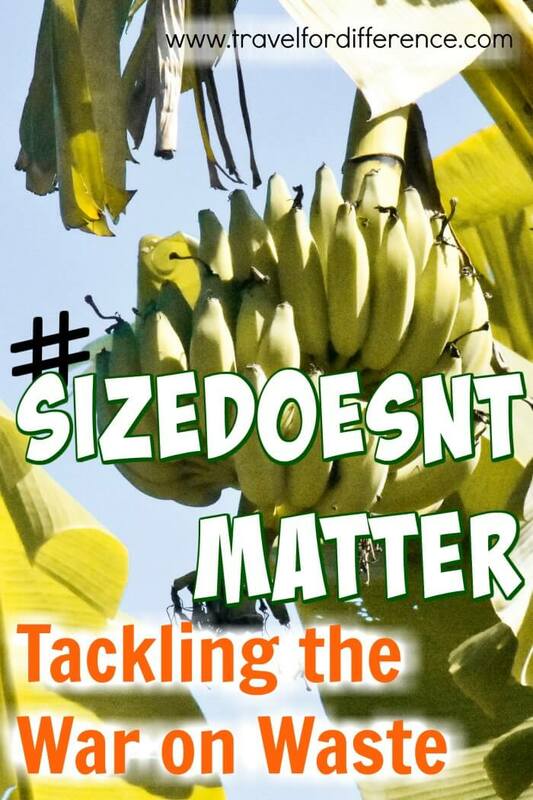 Spread the word about the importance of reducing our food waste, and use the hashtag #SizeDoesntMatter to let the supermarkets know that fruit and veg should have no standards. 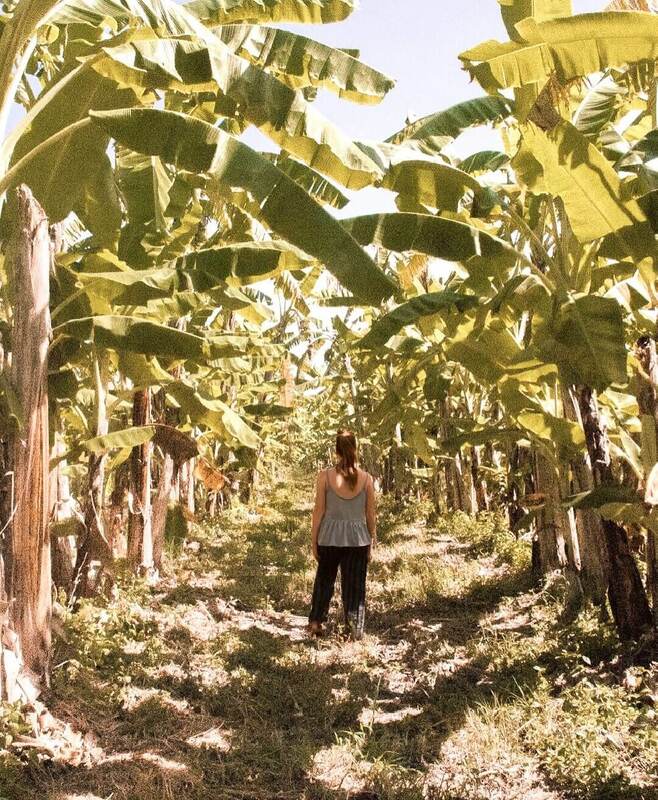 I’ll eat a banana regardless of the shape, and hey… I hope you will too!